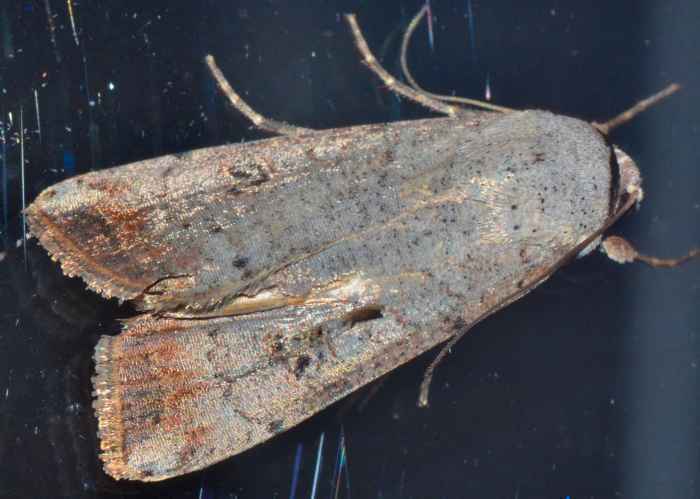 Anicla infecta - Hodges#10911 (Green Cutworm Moth). Size: approx. 20 mm. Photo: 10/13/11, 8 pm. 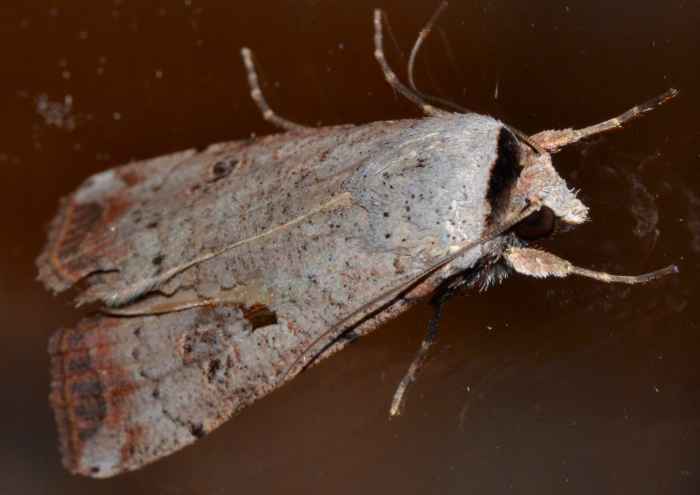 This common insect is a Green Cutworm Moth (Anicla infecta). It can be found throughout large parts of the Americas. The larvae feed on grasses, beets, and tobacco. The caterpillars are green and unremarkable.